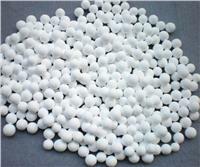 Filter Material for Chloride is of Activated Alumina to remove chlorine from petrochemical process. Chlorine or chloride may cause poisoning of catalyst during petrochemical process, and even corrode reaction unit. This chlorine adsorbent has been working with high range oper1ating temperature, even active on different temperature range, good resistance to moisture, steady active composition. 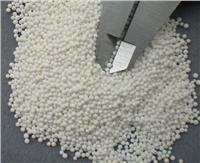 This item is suitable for naphtha, nature gas, hydrogen, nitrogen, ammonia gas process, to remove chlorine.